KATHMANDU, Feb 26: Demand for non-budgetary spending has soared to Rs 382 billion since mid-July. The record demand for budget out of formal budgetary system is promoting budgetary indiscipline, officials of the Ministry of Finance and experts say. 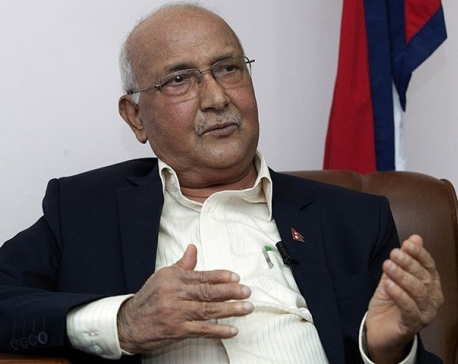 Chief of Budget and Program Division at the Ministry of Finance, Nirmal Hari Adhikari, said that the demand for non-budgetary projects and programs is in tune of Rs 382 billion till Sunday. The amount is a third of the total budget of Rs 1,278 billion of the current fiscal year. Similarly, the demand has doubled compared to the past years. Budgetary spending, particularly those allocated for development projects, however, has remained dismal. Only 21 percent of Rs 335 billion allocated for the purpose has been spent in the seven months of the current fiscal year. Officials of the Ministry of Finance have termed the growing demand for non-budgetary allocations as 'financial indiscipline'. They say that such non-budgetary allocations in the past have only contributed to misuse of the budget. Officials say growing demand and allocation for non-budgetary programs is making a mockery of the budget-making process and the budget endorsed by the parliament. According to finance ministry, the finance ministry had allocated Rs 125 billion for non-budgetary programs in FY2016/17. The allocation was made through a new category 'projects of resources assured' by the then finance minister Krishna Bahadur Mahara. The incumbent government is now unable to foot bills of 'projects of resources assured'. Civil contractors have repeatedly urged the government to settle those bills at the earliest. The finance ministry started using line ministry budgetary system (LMBS) for processing projects and preparing budget three years ago. But ministers and political leaders are not taking the budgetary system seriously and disbursing funds through non-budgetary programs. And bureaucrats have no option but to follow ministers and political leaders, a finance ministry official said. Most of the programs and projects, which seek budget at the middle of the fiscal year, lack any importance. Also, they may not be able to spend even if the money is allocated, the official added. “To allocate and spend budget out of parliament is nothing but financial indiscipline. Such allocation only serves the interests of ministers and political leaders close to the power center,” said economist Shankar Sharma. Finance ministers and finance ministry officials bow to pressure and generally allocate such budget in the second half of the fiscal year when budget spending is very slow.